The months of August and September have brought significant turmoil to the United States. Charlottesville. Hurricane Harvey. The end of DACA for many teenagers and young adults in our community. Hurricane Irma. Hurricane Jose. 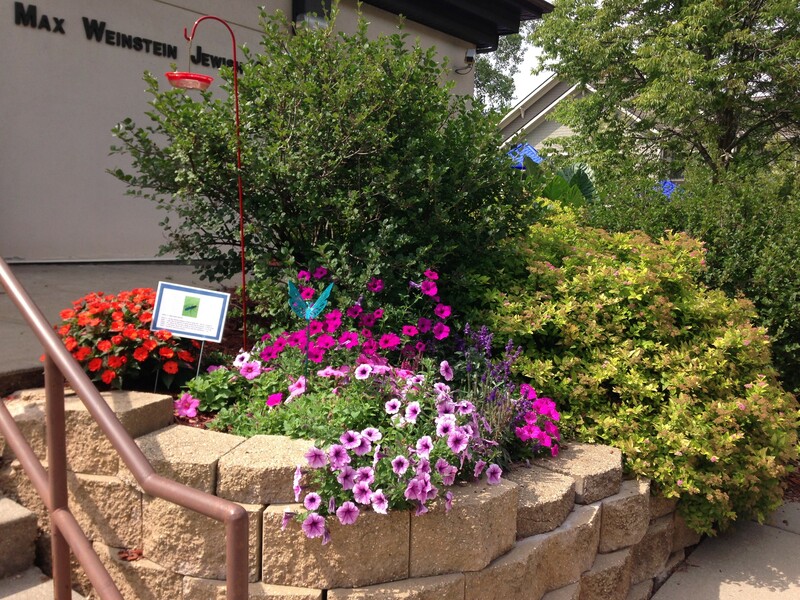 I feel so fortunate to have Jewish Social Services (JSS) here in Dane County. Our team regularly revisits our core values to ensure that our programs, activities and actions are aligned with these values. It gives me hope for myself as well as for my children. It is important to me to show that we can make the world a better place. Levy Summer Series – this summer we averaged over 90 registrants per luncheon, bringing together people of all ages who might not have met ever before. 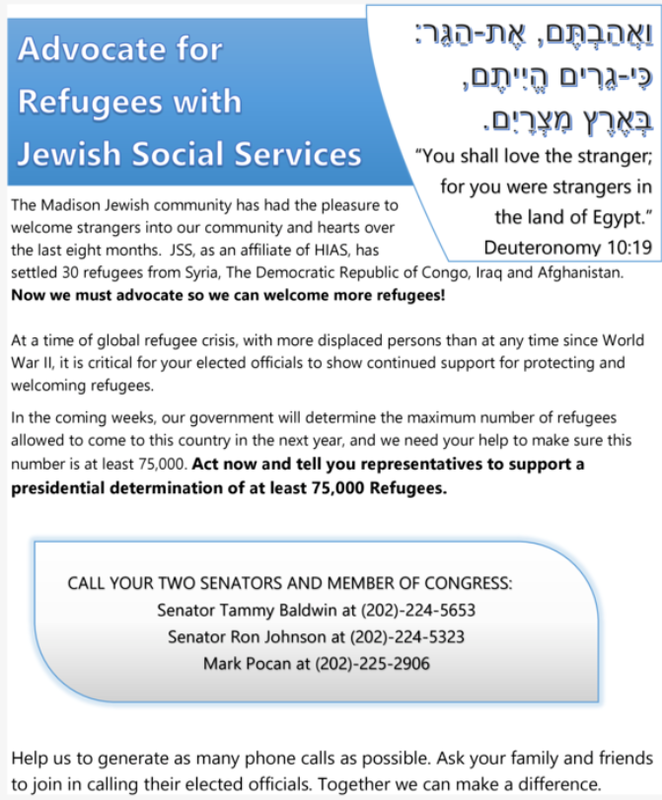 Refugee resettlement – Since December, Jewish Social Services has resettled 30 individuals in Madison who could not safely return to their home countries. In addition, we worked to find housing, employment, and schools for another 12 people. These are individuals who had been resettled as refugees to other parts of the United States but had heard about how Madison truly “welcomes the stranger” and has employment options. Case management – Our team works with senior adults who need appropriate housing. They help families to apply for food assistance or health insurance. They listen to people who are overwhelmed, and need to figure out their next step. Chaplaincy – JSS and our community is fortunate to have a chaplain who can visit those who need spiritual or emotional support. She provides programs to our seniors where they live, when they cannot necessarily get out into the community at large. 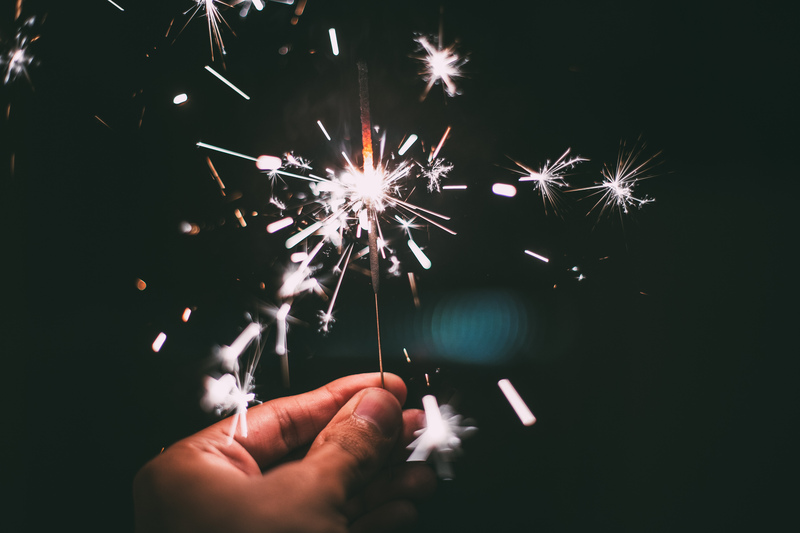 If you would like to learn more about Jewish Social Services and our core values, or you would like to receive support or provide support, please do not hesitate to contact us. We can be reached at (608)442-4081 or on our website at www.jssmadison.org.